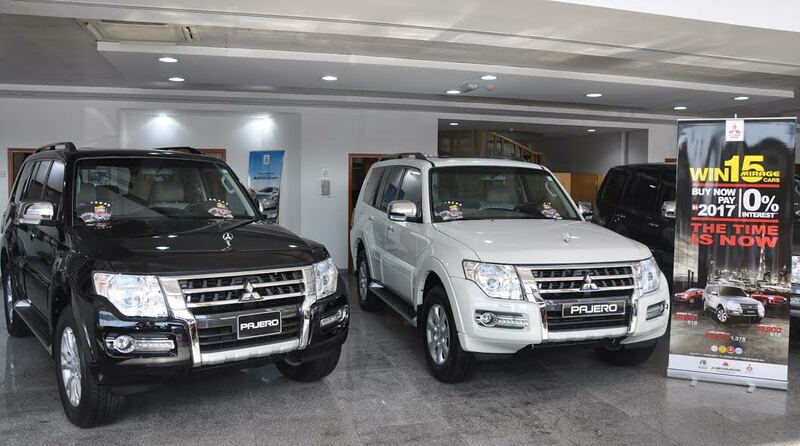 0% Interest & Deferred Payment on Pajero Along with Free Benefits add more value! All Mitsubishi customers also get added free benefits which include Free Insurance, Free 5 Years or 100,000 Km Warranty and Free LLumar® Tinting and Scotchgard™ protection Free Service up to 50,000 Km for SUV’s and up to 30,000 Km for sedans. Sedan owners also get Free Registration. When it comes to the price, customers also get the added advantage of buying cars at special prices which include the legendary Pajero for an amazingly low AED 1,378 per month, the new sporty ASX 2017 from AED 918 per month and the spacious Lancer EX from AED 612 per month. “It is the right time for anyone wishing for a great deal on any Mitsubishi vehicle. Right from affordable pricing to added value with all the complementary benefits, our customers can look forward to a worry-free driving experience. To top it all, they can get more if they are lucky by winning one of the 15 Mirage cars in Dubai or 15 Mirage cars in Sharjah” said Mr. C.V. Ravin, General Manager Sales – Mitsubishi Motors Corporation, Al Habtoor Motors. Al Habtoor Motors is the exclusive distributor of Mitsubishi, Fuso, Chery, JAC, TEMSA, Bentley, Bugatti and McLaren in the UAE, and a part of the UAE based diversified multi-billion dirham business conglomerate Al Habtoor Group. Al Habtoor Group has varied interests and substantial investments ranging from Engineering, Real Estate, Hotels, Leasing, Education, Publication and Automobiles.